In the Container drop-down list, select an Azure container. Make sure the container you want to use to store your data was created upfront. The default Root container is not supported. For more information about this container, see this Microsoft article. 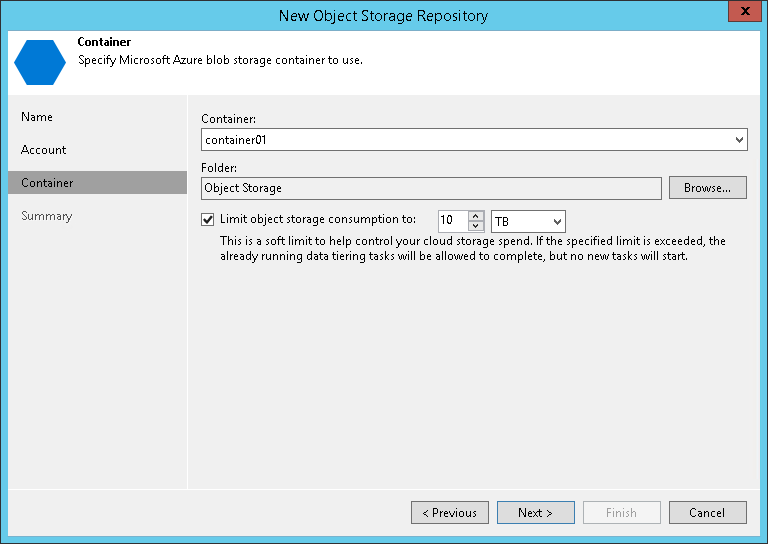 In the Folder field, select a cloud folder to which you want to map your object storage repository and which will be used to store offloaded data. For more information on how data is stored, see Understanding Object Storage Repository Structure.